Welcome to 2015! I hope that everyone had a very happy New Year's Eve and Day. In case you haven't noticed, I have not been around the past few weeks. I decided to give myself a little unscheduled vacation. December just managed to become so busy, and it all just seemed to happen overnight. I really just decided that I needed to focus on spending time with my children and husband, and allow myself to enjoy Christmas, rather than stress about getting posts done. I did miss everyone, though! So, I am trying to get back to my usual routine, in all matters (I have got to stop sleeping in until 9!) and getting back to blogging is certainly part of that change! So, speaking of having a restart, I have been thinking about my resolutions for the new year. It is funny to me; people seem to have such strong opinions about New Year's resolutions. I know that some people think that they are a total waste of time, and others think that someone shouldn't wait until New Year's to make a needed change, that it should just be done as soon as the change is realized. I think that both these theories have merit, but I am also a firm believer that everyone is different and different things work for different people. To me, there is just something refreshing about the New Year. It is a clean slate of 365 days ahead of us, and what better to do, than decide how to make that 365 better than the last? True, I don't always manage to make all of them happen, but if I don't have hope, then what do I have? So here is what I am hoping to do better this year. 1. Cut down on frivolous shopping. More specifically, focus on only buying things I really love, not just things that I would like to have. There is a difference. 2. Work on putting my phone down more. I have really gotten used to constantly checking various social media outlets, and usually I use the excuse that it is part of maintaining this blog. I need to be better about scheduling my blogging time and allowing myself to focus on truly being present when I am with my children. 3. Get rid of clutter! This is a big one for me, and it really ties into my first resolution. Drawers and closets need to be cleaned out around my house, and now is the perfect time to start doing it. I know that there is no way that I use all of this stuff! 4. Focus on family dinner time. Around my house we really do put emphasis on sitting down together as a family and eating dinner together every night, but we have easily fallen into the routine of keeping the TV on and rushing through dinner to move on to whatever needs to be done next. I am hoping to be better about turning off the TV, setting the table correctly (and teaching my oldest to do so) and truly engaging my girls in dinner conversation. They are certainly old enough. And on that note, I am also going to start emphasizing proper dinner etiquette. They are old enough for that, too! 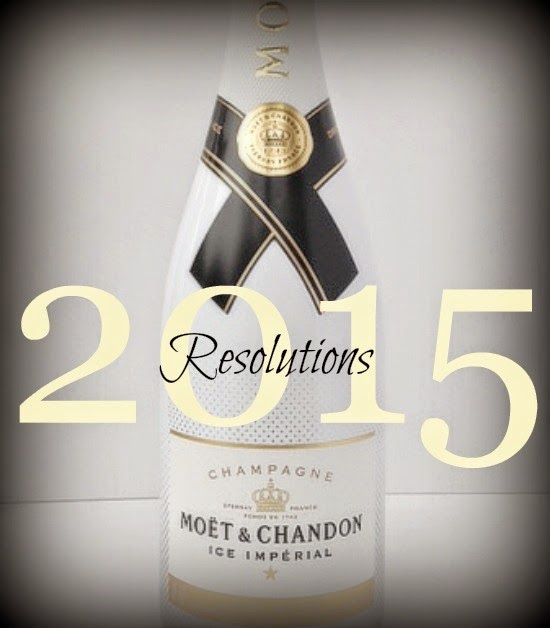 Good luck with any resolutions you may be making this year!